Ant-Man and the Wasp is the final film in our MCU Countdown, and the latest film in the Marvel Cinematic Universe. We still have to wait another 9 1/2 months to find out what happens to all our beloved heroes after the snap felt ’round the world’, but in the mean time, Marvel is giving us something lighter to ease the pain we’ve been feeling since the end of April. At least it was lighter, until THAT post-credit sequence, but I’m not going to get into that for the sake of spoilers. In Ant-Man and the Wasp, one of the biggest themes, as it was in Ant-Man, is family. Like I said in my original review, the family dynamics are really one of the biggest factors here and really help to set these movies apart from the other more action and cosmic oriented films in the MCU. 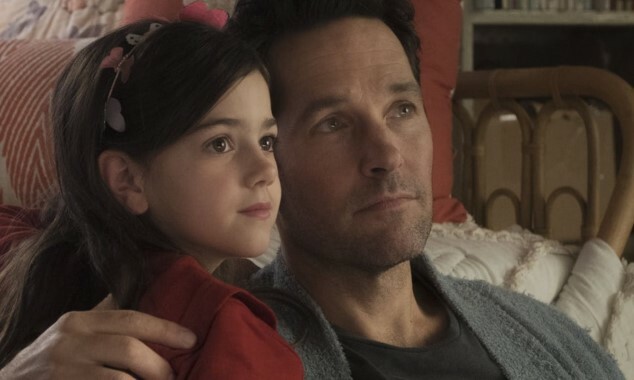 Once again, Scott Lang’s relationship with his daughter Cassie is a big part of the plot in this film, and their dynamic is so much fun. At the beginning of the film, we find Scott under house arrest, unable to leave the premises after the events of Captain America: Civil War. Despite the fact that he is once again a criminal in the eyes of the law, he has made up with his ex-wife Maggie, and they, along with her husband Jim, all seem to get along really well. Even though he is legally unable to go anywhere, Scott is still making it a point to be an involved father, and Maggie and Jim bring Cassie to stay with him frequently. In the absence of very many options, they turn to their imagination and transform his house into a ridiculously elaborate cardboard play house, which they use to great effect in some very fun scenes. The events of Civil War had more than just legal ramifications for Scott, as Hank Pim and Hope van Dyne have completely cut ties with him after he’d taken the Ant-Man suit. The two of them have gone into hiding, as his connection to them made them guilty by association. While in ‘exile’, they continue working on a way to open up the Quantum Realm, the microscopic universe accessed by shrinking down to an infinitesimally small size. The fact that Scott had entered and returned during the events of the previous film have given them hope of finally finding Hank’s wife and Hope’s Mother, Janet van Dyne. The three of them are thrown back together, after a successful test of their new machine seemingly allows Janet to communicate telepathically with Scott, who she had apparently come in contact with during his time in the quantum realm. He had not seen her, but she had seen him, and that was all she needed to make a connection. Scott calls Hank and Hope, and the three of them begin working together once more to try to rescue Janet. At the end of Ant-Man, we were shown Hank giving Hope her very own super-suit, allowing her to finally take up her mother’s mantle as The Wasp. Hope’s suit is equipped with wings, something that Scott seems a bit jealous of, but with or without these incredibly useful upgrades, Hope proves herself to be a very capable crime fighter, as they come up against not one, but two different villains, a corrupt businessman, intent on stealing Hank and Hope’s tech in order to sell it, and Ghost, a new super-villain who can phase through walls. The dynamics between Scot and his daughter, and the Pim/van Dyne family are really what this film is all about. There are secondary plots involving the villains, as well as one revolving around Scott’s probation officer, but these are really just there to build the story around these two families. Three, if you count Scott’s ex-con friends as a family, and four if you count the relationship between Ghost and her own father-figure. I guess what I’m trying to say is that, despite the car chases, fantastic powers, and otherworldly adventures, the things that really hold this film together are the relationships. 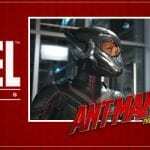 Family is the theme of the Ant-Man franchise, and that theme really helps to give these films an emotional center that you don’t get from many other superhero films. I think I’m going to end this review here. Ant-Man and the Wasp is still in theaters, so if you haven’t seen it yet, I don’t want to spoil it for you. It has a ton of humor, amazing spectacle, and a lot of heart; don’t miss it. Thank you all for joining us these past few months as we’ve counted our way down through all the Marvel films so far! We’ve all had a lot of fun writing these reviews, and we’d love to keep going! In the past we’ve done the entire Disney animated canon as well as all of the Studio Ghibli films. If you have any other ideas for a franchise that we should count down next, let us know in the comments below! We’d love to hear all your suggestions, and we might use some of them for our next series!